An incredible collaborative effort from scientists at Lappeenranta University of Technology (LUT) and VTT Technical Research Centre of Finland, has resulted in a batch of single-cell protein. And while this achievement may seem redundant, we must clarify that this protein was created by simply utilizing energy and matter like electricity and carbon dioxide. In essence, the researchers have put forth their notion that the edible protein can be used to alleviate world hunger problems with their ability to further modify the stuff into actual food. And the best part is, the protein can be produced from most renewable energy sources, including solar energy. In practice, all the raw materials are available from the air. In the future, the technology can be transported to, for instance, deserts and other areas facing famine. One possible alternative is a home reactor, a type of domestic appliance that the consumer can use to produce the needed protein. 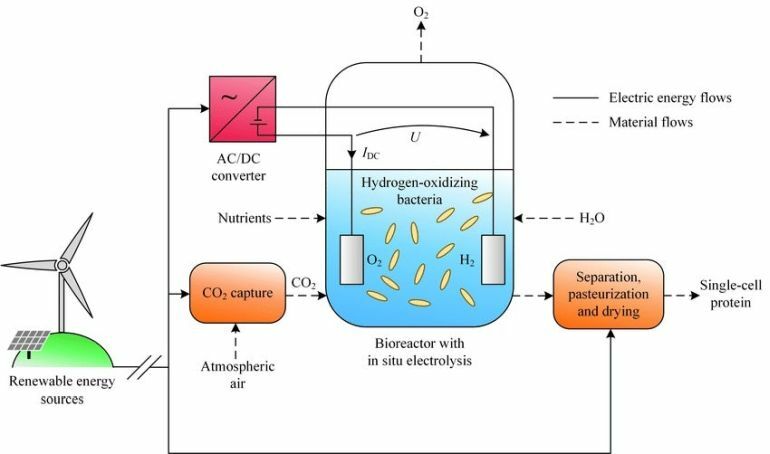 The process in itself, formulated as a part of the Food From Electricity project, entails the exposing of the ‘ingredients’ (like electricity, carbon dioxide, and microbes) to electrolysis, inside a bioreactor. 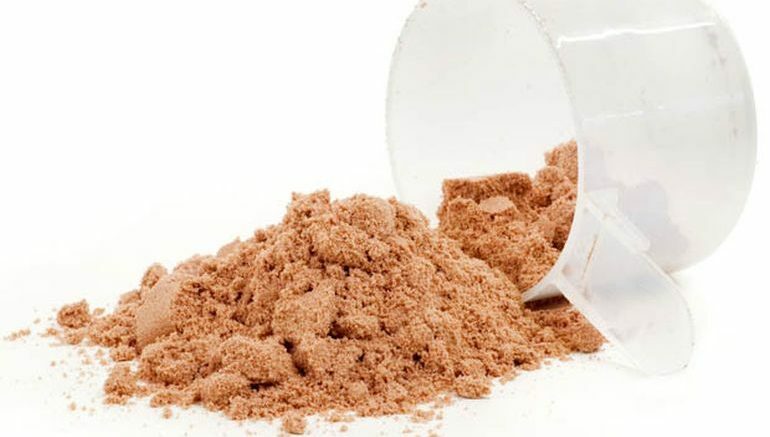 The consequent chemical reaction results in the formation of a powder-like substance packed with more than 50 percent protein and around 25 percent carbohydrates, while the rest constitutes fats and nucleic acids. Interestingly enough, the researchers have claimed that they can alter the consistency of the product by making changes to the organisms used in the process. We are currently focusing on developing the technology: reactor concepts, technology, improving efficiency and controlling the process. Control of the process involves adjustment and modeling of renewable energy so as to enable the microbes to grow as well as possible. The idea is to develop the concept into a mass product, with a price that drops as the technology becomes more common. The schedule for commercialization depends on the economy. Compared to traditional agriculture, the production method currently under development does not require a location with the conditions for agriculture, such as the right temperature, humidity or a certain soil type. This allows us to use a completely automatized process to produce the animal feed required in a shipping container facility built on the farm. The method requires no pest-control substances. Only the required amount of fertilizer-like nutrients are used in the closed process. This allows us to avoid any environmental impacts, such as runoffs into water systems or the formation of powerful greenhouse gases.